This listing includes the original game CDs. On-screen printable manuals are also included. The boxes are pictured for reference only and are not included. I will also provide a compatibility CD that will allow the games to run under ALL VERSIONS of Windows 10, 8, 7, Vista and XP, both 32 and 64 bit. 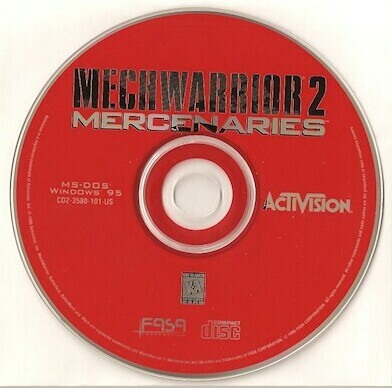 For years after the release of the classic first Mechwarrior we waited patiently for Activison to finish the sequel, watching them sack one development team after another until, finally, they got it right. 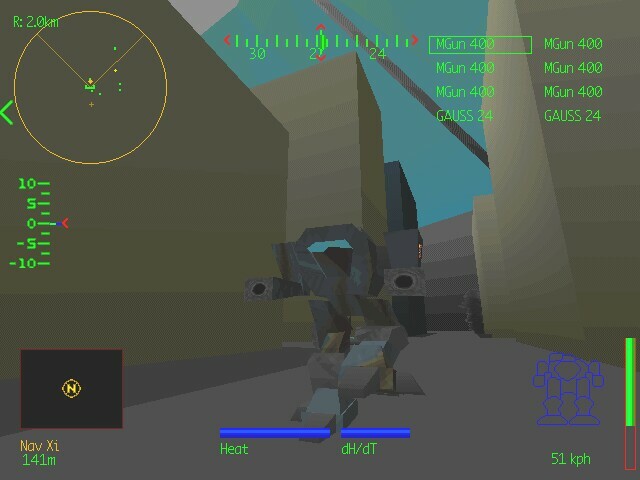 Starting as a series of non-computerized RPG-like games, the MechWarrior 2 story, set in the 31st century, revolves around warring clans who are duking it out in massive,bipedal war machines known as "Mechs." The Wolf and Jade Falcon Clans are each vying for control of Terra, sending their armies of heavily armed robotic behemoths against each other in a never-ending cycle of violence. As a new pilot for either side, you must bring your clan victories and do so with honor in order to ensure success and rise through the ranks. Different battles have different goals: sometimes search and destroy, sometimes recon, base strikes, or other missions. As your playing improves, you're put at the head of a squad which you control. In each mission you can outfit yourselfwith a custom Mech, which you can modify down to weapons loadout, heat sinks, engine, and so forth. Over a dozen Mechs are available, each with its own strengths and weaknesses, and picking the right one for the job at hand can becrucial. The graphics are amazing for the time, especially the intro. In terms of impact related to the technology available at the time, the Mechwarrior II intro rivaled the Wing Commander II intro from a few years earlier. At times you can see right down to the clan insignia on the side of the enemy Mechs. And the view through the cockpit of your Mech is stunning. 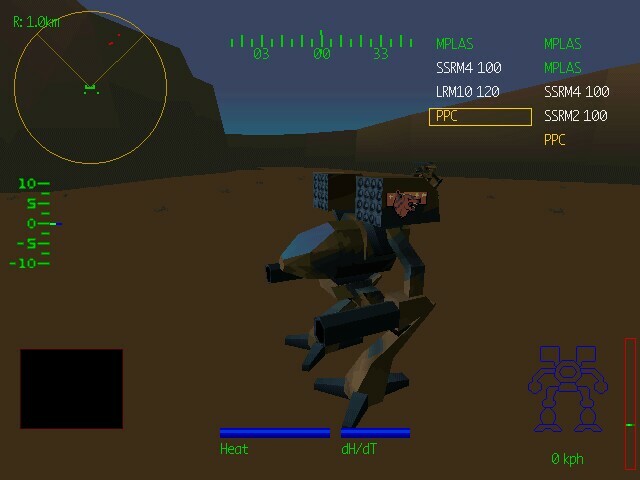 This is no cake walk: MechWarrior 2 is a tough, demanding game, with challenging controls and opponents. Maneuvering both the Mech and the turret can be a tricky proposition at times. With controls more like those of a flight sim, and a need for strategy and planning, this is not your average action game. It demands a lot from gamers but it delivered like nothing could back in its day. As the leader of a crack squad of mercenaries in the year 3039, you must accept enough important missions, collect enough cash, and avoid enough political BS to keep your team fitted with the giant living robots they rely on to survive. These 'mechs are upright Leviathans with more firepower than a fleet of today's tanks, and are used to wage war on many different worlds. While most mercenaries will tell you that the only thing that matters is who brings home the paycheck, the wise commander will also keep abreast of the overall status of this conflict, making sure never to back a loser for too long, or to back a winner who threatens to bring an unprofitable future to your squad. Although Mercenaries has several strong plots, it's the gameplay that is so completely addictive. On the sim side, the game has everything that made MechWarrior 2 such a hit. Good mid 90s era graphics and animations mix with an intuitive control system that lets players get the feel for battle firsthand. On top of that, players are required to keep track of new factors like salvage - if you're tricky you can even get ahold of some Clan ‘mechs - and repair costs that add an entirely new spin to an already challenging game. 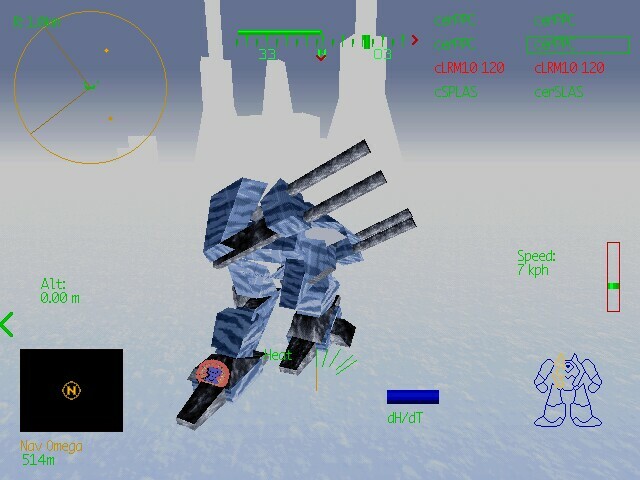 The entire game is rendered in well-mapped polygons that will give a player with a little imagination a good feel of what it might be like to be on a futuristic battleground in snow, on rock, by day or night. There are some cool visual effects like the Thermal Sensors and a fantastic particle physics system, laser blasts and missile trails really add to the overall realism of the release. Mercenaries maintains a strong following even today.